Before Christmas 2013 I received a phone call from a Yolŋu person who wanted me to make a transfer of many thousands of dollars into Asia. All the lights went on for me and after a number of day investigating it was clear that a large phone scam was operating out of Asia, targeting Yolŋu people in Arnhem Land. The scam had been going on unnoticed by the authorities for well over 12 months. Many Yolŋu people have lost a lot of money and had their lives thrown in to turmoil because of it. One family is broke and had to close their store on their small community because of it. Their closest store is 2 hours away by four wheel drive. The complex scam used financial accounts of some Yolŋu individuals as central accounts in which to hide the money trail, and then transferred the money from these accounts via Western Union to the scammers in Asia. The scam includes a Balanda Australian, or someone with a strong Australian accent. They also seem to have local knowledge as to who would be good to target in first case. This person seems to have done considerable social profiling on 2 or 3 key Yolŋu families. That is they know a lot about the family and have some special story that would only be know by a handful of outsiders. So it was easy for this Balanda to gain the trust of the Yolŋu involved as he knew so much about them, even their name and the names of close relatives. The scam involves advising the Yolŋu people that they have large sums of money that belongs to the family, 80,000 or million dollars, and that they will help them get the money for them. This person even uses his alleged wife and children to talk to the Yolŋu as part of getting them on side. When he has their trust he obtains bank account details including their pass words and access codes. It then seems that he uses these bank account/s to move money they have scammed off other Yolŋu people to themselves somewhere in Asia. Only this Balanda Australian talks to these central account owners but he also has many other Asian workers, calling out of a call centre. These other Asians then ring other Yolŋu to tell scam stories about monies won or inheritances/superannuation/government funds found. Then they tell them that they have to apply for the money or pay a fee to get it. Then they get them to put the money into one of the central Yolŋu accounts above. When their trust is won the scammers also get their account numbers and passwords which they later use to rip them off. The Yolŋu with the central accounts do not know that other Yolŋu have been putting money into their account and so they think it is from the Balanda. At the same time this Balanda rings them up and tells them that he put the money in their account and how much it was. Then he asks them to transfer the money to him by using Western Union. When the Yolŋu ask why, he says that he just put the money in their account to prove that it was their account before he sends them the large amount of money. He even teaches these Yolŋu how to send the money through Western Union. The money is always sent to different people at different addresses in India and other places in Asia. I have been working with Lahyna Money Management and they have given me some help to produce programs for Yolŋu Radio. I was able to get one series of radio programs produced before Christmas and get the story out. At the moment I am working on another more extensive series of programs to shed light on the issue. This is the first time many Yolŋu have experienced such a thing so they have been caught out badly. 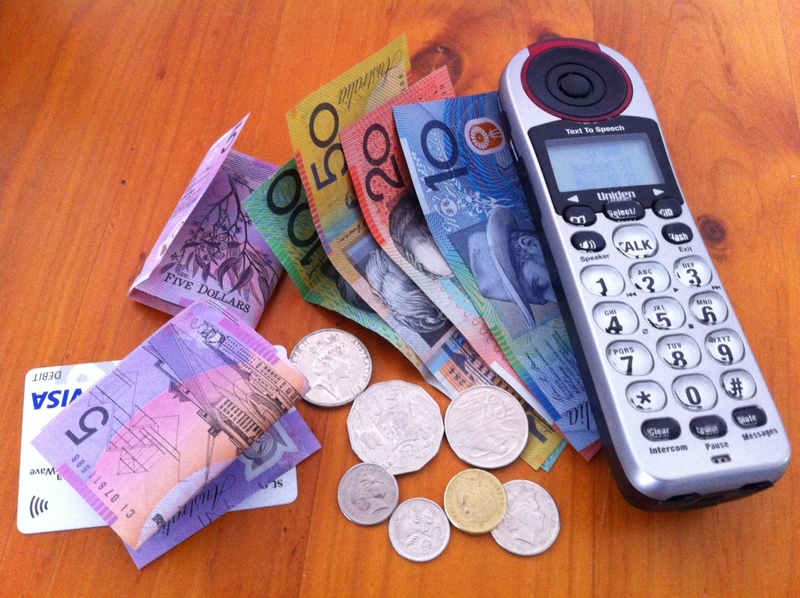 Programs broadcast on Yolŋu Radio will provide information on how scams operate and how to protect themselves their families and financial details from such things. There is little doubt that this scam is happening in Aboriginal communities right across Australia. Thanks for sharing a warning. I’ve been reading about different phone scams at Callercenter.com and while we may find the scam obvious, there are still a few who may not be aware and would easily fall for it. That is why it’s important that we share info about the suspicious calls we get so others are warned.